Is it blasphemous to compare a document as divinely inspired as the United States Constitution to a film written and directed by a man who went on to create a character named Jar Jar Binks? I’ll let you decide. No matter how different the film Star Wars: A New Hope and the Constitution may seem, I’m about to show you that they actually have a lot in common in how they came about and how they’ve affected the world. Each creation was inspired by one visionary man. Each visionary used ideas from the past to create something new and fresh. Others revised and built upon the visionary’s ideas to make the final product better than he could have done by himself. Without the aid of a beloved icon, both projects would likely have failed. Some things had to be abandoned in order to ensure the project’s success. The work first won over Americans and then people around the world. Politics and the film industry were changed forever by the advent of these creations. The two works have been amended several times over the years. A good place to begin is with the architects behind Star Wars and the Constitution: George Lucas and James Madison. Before making Star Wars, Lucas had already proven he could be artistically daring with THX 1138 and also deliver feel-good box-office hits with American Graffiti. In Star Wars, he managed to do both. When Americans faced a crisis of confidence in their elected officials and the country seemed to be in decline against the Soviet Union, Lucas was hard at work crafting a film that would inspire people and have a huge impact on popular culture. Madison served on the Continental Congress and in the Virginia House Delegates in the years leading up to the creation of the Constitution. He got to see how the 13 states interacted and how important it was to each of them to maintain their sovereignty. By 1787, the states were at a critical junction where they could either dissolve into anarchy or become the greatest nation the world had ever seen. Under these extraordinarily dangerous conditions, Madison came up with a plan for a new form of government the world had never seen: One of the people and by the people. Before Lucas could create a story that would win over worldwide audiences, he spent years studying classical literature, reading Joseph Campbell’s Hero with a Thousand Faces and watching westerns and Japanese films, especially Akira Kurosawa’s influential work. Inspired by the Flash Gordon serials he saw as a child, Lucas decided to create a space opera populated with characters ripped from mythology. This strange pairing of old ideas with futuristic hardware rejuvenated the myths and made Star Wars’ story universally appealing. The light saber is a perfect example of this. It’s basically a knight’s sword, but it’s also a laser beam, which means it both reminds us of old tales of warriors and fills us with wonder about how such a technological marvel works. Madison knew the Articles of Confederation needed to be replaced by a better form of government that gave more power to a national government. To figure out what that government should look like, he studied the works of ancient and contemporary philosophers, including Marcus Tullius Cicero (natural rights of man), John Locke (religious liberty and the right to property), and Polybius and Montesquieu (separation of powers). He even took inspiration from the Bible. The judges set up by Moses in the Old Testament are a pattern of a democratic republic where people are allowed to govern their own affairs with little interference from government. With all of these ideas from the past, Madison came up with an entirely new form of government that would change the world. But he needed a lot of help to make it a reality. 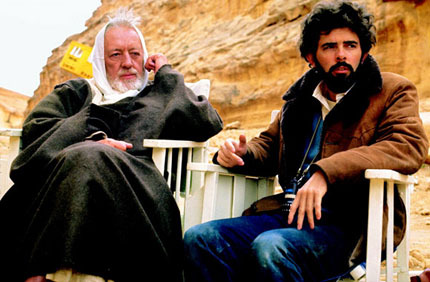 Almost no one in Hollywood took Lucas’ Star Wars project seriously. Only Twentieth Century Fox President Alan Ladd, Jr. had any faith in it at the start. He gave Lucas enough money to produce draft after draft of the script before he came up with one good enough to begin production. Even after Lucas got the green light, he faced an uphill battle getting his cast and crew to believe in the material. 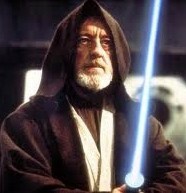 Luckily, he received the full support of a legendary actor named Sir Alec Guinness. Famous for his iconic roles in several David Lean films in the 1950s and 1960s, Guinness gave instant credibility to Star Wars when he signed on to play the old Jedi Knight Obi Wan Kenobi. During the arduous shooting in Tunisia, when other actors and crewmembers complained, Guinness’ calm and professional attitude was reassuring. His superb performance gives weight to the idea of the Force, which could have come across as silly and generic. He also returned in The Empire Strikes Back to make sure audiences accepted a Muppet called Yoda as a suitable replacement. A Constitutional Convention was scheduled in 1787 to revise the Articles of Confederation. Many states were reluctant to send delegates. However, their fears were immediately relieved when George Washington announced he would attend the convention. He was a beloved leader throughout the 13 states for his victory over the British in the Revolutionary War and his astonishing display of humility by refusing to take power as king after the war ended. Although he didn’t speak much during the debates, Washington was unanimously elected president of the convention and his presence helped calm some of the tensions as the Founding Fathers crafted the Constitution. After the Constitution was ratified by the states, Washington even agreed to run for president for the first two elections to set the precedent for successors to follow. Despite his brilliance as a filmmaker, Lucas needed the help of many other people to make Star Wars such a perfect film. Producer Gary Kurtz stressed the importance of cutting costs and making the most out of their modest budget. John Dykstra invented a computerized camera to create special effects no one had ever seen before. 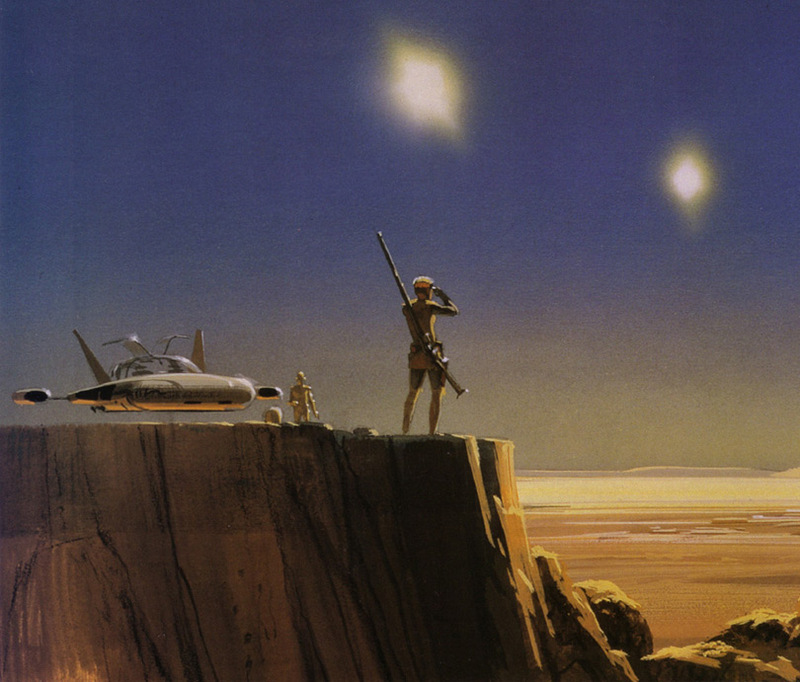 Ralph McQuarrie conceived beautiful sets and drew breathtaking paintings of planets. And many other people helped on the script and other aspects of the film to bring it to life in ways Lucas never could have conceived. As a Virginian, Madison was torn on the issues of slavery and representation. On one hand, Madison was personally against slavery, but his fellow citizens would never agree to get rid of the practice to join the United States. As a citizen of a large state, Madison was frustrated by how much Virginians had paid for the Revolutionary War, while smaller states had seemingly shirked their duties. He wanted to rectify this by creating a legislative branch of the federal government that was purely representative of states’ populations. The small states rightly protested this because under this system, they would always lose to the larger states. That would be akin to tyranny. So they compromised and allowed only two votes for each state in the Senate while the House of Representatives would be based on population. And budgets would begin in the House to ensure large states wouldn’t feel taken advantage of again. Many other compromises took place on the way to finishing the Constitution. The Star Wars saga is an exercise in abandoning some things to get a project done. When Lucas first wrote the script for The Star Wars, it was too big a story to tell in one film, so he had to break it into nine parts and just focus on the middle three first. As production on Star Wars came down to the wire, Lucas realized he couldn’t create exactly the film he had in mind because special effects hadn’t caught up to his vision in 1977. He famously said, “Films are never completed; they’re only abandoned.” That is why he never felt fully satisfied with the end result, so he felt a need to return several times and try to fix the things he saw as imperfections in the original Star Wars trilogy. The Founding Fathers couldn’t abolish slavery when they wrote the Constitution. Attempting to do so would have killed any chance of having truly United States because the Southern states never would have agreed to such an idea when their economies were so dependent on the practice. Instead, the Founders did their best to limit it by ending the importation of slaves and not rewarding the Southern states too much in the House of Representatives for the slaves they owned. Benjamin Franklin noted before signing the Constitution that, although he didn’t agree with everything in that document, he didn’t think he would always disagree with them. 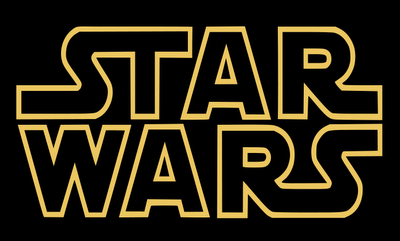 Star Wars opened without fanfare in May 1977. In a brilliant move, however, the film’s chief marketer had gone to sci-fi conventions in the months leading up to the premiere to ensure the core fan base would be prepared. They lined up to see the movie when it finally arrived, and all the interest soon spilled over to mainstream audiences. 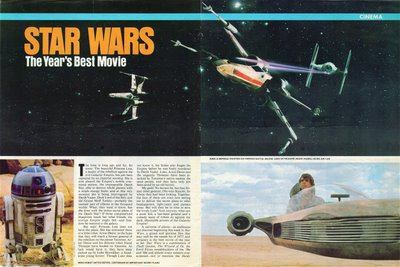 When Time magazine declared Star Wars “the best movie of the year,” the movie’s popularity exploded. Suddenly everyone in America was watching it – several times! Star Wars set new box-office records in America and the rest of the world. Despite its all-white cast, the film spoke to people from virtually every culture and every part of the world. That’s how amazing its themes and characters are. After putting together the Constitution, the Founding Fathers then had to take on the equally difficult task of getting their countrymen to ratify it. They did so by publishing the Federalist Papers and doing all they could to educate the people on the importance of uniting as a nation. It was a tough sell, but the Constitution eventually gained approval by the majority of the 13 states, and it was adopted as the supreme law of the land. Over the years, the American experiment spread to nations around the world. Freedoms of life, liberty, property, religion, etc. are now taken for granted by billions of people. Even though the Constitution was written by a group of white men (some of whom owned slaves, as naysayers like to point out), its principles apply to virtually every people and culture in the world. And its ideals still hold up today as they did in 1787. The film industry was never the same after Star Wars, for better or worse. There had been big blockbusters before, like The Godfather, The Exorcist and Jaws, but Star Wars presented something entirely new. It was a big, noisy special-effects extravaganza released in the summer movie season. You could say the same thing about Transformers, Pirates of the Caribbean or pretty much any other major summer release in the past 20 years. Hollywood has increasingly invested in tent-pole films, patterned after Star Wars, to try get a lot of people to come to theaters. Many of these films lack the emotional impact of Lucas’ creation, but they’re trying to recreate what Star Wars did so well. Love it or hate it, the United States of America has had an indelible impact on the rest of the world. The city shining on a hill has been a beacon of freedom for people in many lands and inspired them to throw off their shackles and demand freedom. No one had ever seen a democratic republic built on free-market principles before, and no one knew if it could survive. It managed to survive a Civil War and several wars with other nations, and it rose to become the dominant economy in the world for more than a century. Even communist countries like China are trying to duplicate American success by allowing some elements of capitalism. But these attempts don’t work as well because they are mere imitations rather than truly free societies. Because Lucas was so frustrated about abandoning Star Wars, he returned to it in 1997 and came out with Special Editions of the original three films. These included several changes, including the infamous “Han shot first” scene, Han meeting Jabba the Hutt in A New Hope, and a number of superfluous special effects. The Star Wars prequels could even be seen as revisions because they offer different versions of some of the characters. Plus, some of the story elements clash with what Obi Wan, Yoda and even Darth Vader say in the original trilogy. In all, it would probably have been better if Lucas had left well enough alone and allowed the Star Wars films to remain in their original state, blemishes and all. Over the years, the Constitution has been amended more than two dozen times. Most of these amendments have been great. They started with the Bill of Rights and continued with the abolition of slavery and the right to vote for women. However, they did include some blunders, like Prohibition, which was later repealed, and the income tax, which was not. In all, the amendments have mainly been good. The Bill of Rights restricts the government from infringing on the freedom of the press, speech, religion, gun ownership, fair trial and other things the Founders felt were important to protect. These were mostly essential changes, unlike Lucas’ unnecessary changes to his films. Both Star Wars and the Constitution are products of brilliant minds who rose to the occasion to create something amazing despite all the challenges they faced. They have had lasting impacts on America and the international community. They have universal truths that are still as valid today as they were when they were first created. Is the case strong enough to say Star Wars is like the Constitution? What do you, the people, say? This entry was posted in Random Stuff and tagged alec guinness, constitution, films, founding fathers, george lucas, george washington, government, james madison, movies, myth, politics, science fiction, star wars, united states. Bookmark the permalink.